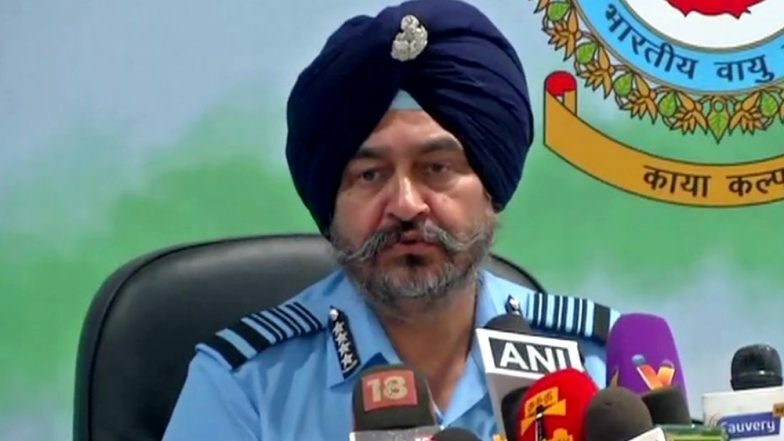 New Delhi, April 15: Indian Air Force (IAF) Air Chief Marshal BS Dhanoa on Monday said that technology was on India's side during the Balakot airstrikes, and added that the result of February 27 airstrikes would have further skewed in the country's favour if the Rafale jets were inducted on time. The IAF chief made this statement while addressing a gathering on aerospace power of the future and the impact of technology. Rafale Controversy: Anil Ambani's Tax Worth 143 Million Euros Was Waived Off by France Months After Deal, Says Report. "In Balakot operations, we had technology on our side as we could launch precision standoff weapons with great accuracy," said Dhanoa, adding, "In subsequent engagement, we came out better because we had upgraded our MiG-21 Bisons & Mirage-2000 aircraft. The results would have been further skewed in our favour had we inducted our Rafale aircraft in time." Narendra Modi Government Compromised on National Security: Left Parties on Rafale Deal Verdict. The Air Force on February 26 neutralised a Jaish-e-Mohammad terrorist training camp in Pakistan's Balakot area, in response to Pulwama terror attack on February 14 in which 40 Central Reserve Police Force (CRPF) personnel were killed. On the very next day, Pakistan retaliated by unsuccessfully targeting military camps in Jammu and Kashmir. The seminar on "Aerospace power in the 2040s: Impact of Technology" was held at Subroto Park in New Delhi to mark the birth centenary of the late Marshal of the IAF Arjan Singh. The event was hosted by the IAF and CAPS, an independent defence research and analysis body.